I have also put the posts, in date order, the same format as last month … I will try and put a conclusion to the sightings at the end of each month as well …… (although i need to do this from april onwards..oops!). 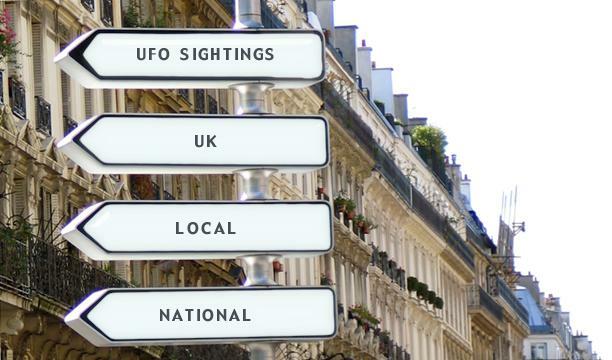 There has been an explosion of UK UFO activity, after the MOD released its UFO archive, and this might account for the media clamouring for our attention (how much of it is fact, is frankly anyone’s guess), and also the public looking at the sky more than normal…. and wanting explanations also. Some incidents could be UFO balloons (please see: https://dandare.wordpress.com/2007/05/19/ufo-balloons-what-are-they/ for more details, froma previous article). Kevmc commented in another post about an incident, and i am posting it here (if anyone else saw anything around this time and place, please comment below). “last night 3rd june roughtly about 6.30 pm i was standing in my back yard just watching the clouds when suddenly i seen a oval shape object floating through the sky it was a gold / silver colour i know in my heart it was not a plane or anything else thats on this earth the way it moved and turned from one spot to another was impossible for any aircraft to do i was a none beliver about aliens and things like that but now it has me thinking !!!! i called my partner to come and see what i was seeing but by the time she got out it had just went straight over the house and dissapeared out of sight it has left me totally confused and baffled to what ive seen .. has anyone else seen this ?????? time seen 3rd june tuesday 6.30pm north belfast northern ireland“. “Police, scientists in white protective suits and the press turned up to the site on Monday morning to see the area where a flying saucer had ‘crash landed’. The mock-up was all part of an exercise, organised by teacher Kate Gill, to get the youngsters at the school enthusiastic about writing” (extract from article). “Lisa Tinsdeall-Hughes, 36, of Bryn Awelon, Buckley, claims she saw an orange orb, which looked like a “ball of fire”, in the sky above her home late on Friday night” (extract from article). The Royston Crow “MOD reveals UFO sightings details” … (short article). 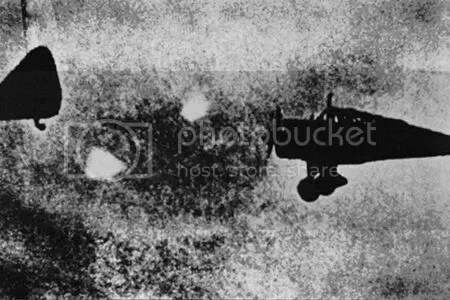 “The father-of-two, from Wildman Street, said: “We were going down a lane and I saw something in the sky. It looked like a star but a lot brighter and I wondered what it was. “The underneath looked like the underside of an iron and it was a copper colour. It looked like it was reflecting the sun but it was dark. Construction officer John and his daughter sat in the layby and watched the silent object hover above for around 15 minutes before returning home to tell sceptical wife Julie about the experience ” (extract from article). This incident happened last winter…. “Since we revealed on Tuesday that an orange orb was seen above Buckley, the debate between readers has been raging. More Flintshire residents have contacted the Leader saying they too saw the “orb” and think it could have been a sign of the supernatural. But others have offered a much simpler explanation – that it was a paper bag with a candle below it” (extract from article). This is relation to article written in The Wrexham leader “Fireball ufo spotted over Buckley” (above). “The bright orange circular objects were seen shooting across the sky above Caerwys on Wednesday evening by drinkers in the Royal Oak and Piccadilly Inn pubs..[. ]….”There was a strange bright orange circle and it moved in a way that no normal aircraft would move” (extract from article). “The National Archives’ UFO webpage attracted 264,285 visits the first day, five times more than usual. Over the next four days 1,348,054 files were downloaded” (extract from article). “Mrs Bartlett said she had no idea what the mystery object was, but said it could not be a kite as there was absolutely no wind that day. Another reader, Leonard Cattley, spotted a similar UFO on the same day and said: “It was hovering for at least 15 minutes so we got a very good look at it, if it was a kite it would have been huge” (extract from article). Later on it mentions…… “”It was more of a square shape than a triangle and there was a dull humming sound, but I cannot be sure that wasn’t coming from the road”. The X-Files-style mystery has left UFO enthusiasts baffled and an investigation was even launched by Southampton Airport after a worried member of the public alerted bosses. Possible explanations include Chinese lanterns, microlights, model aircrafts, kites or even a secret military project. Recruitment consultant Gavin Chapman also came forward with another mysterious photograph, which he took in the city last summer” (second extract from article). “Residents in Caerwys spotted a UFO last bank holiday weekend on Saturday, May 24, at 6.23pm, heading past the Flintshire town down towards Denbigh. “I was just starting up the barbecue when myself, my partner and her mother saw a very bright, fast object come from the north,” said Caerwys resident Neville Pierce-Jenkins” (extract from article). “MYSTERIOUS lights over Wotton-under-Edge have been the talk of the town this week. Last week the Gazette reported how a group of orange lights had been seen moving across the sky above the town late at night. The strange sighting happened on the night of Friday, July 27 at about 10.30pm” (extract from article). 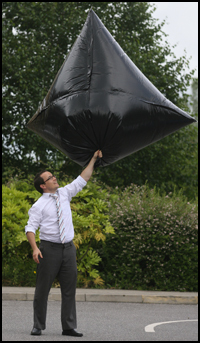 “The mini-hot air balloon can be made with just four black bin bags, sticky tape, scissors and a hairdryer. Mix those ingredients with a warm, sunny day and you have a black triangular balloon which could easily be mistaken for one of the UFOs which have been spotted over the city” (extract from article). “The 37-year-old was on her garden patio in Crowther Road when she spotted a mysterious orange object flying erratically in the sky. Samantha – who claims she didn’t previously believe in aliens – says she now wonders if they do exist after the sighting at around 11pm on Saturday, June 7. “Initially I thought it was a plane, but I had another look and it was bright orange and red,” she said” (extract from article). “The incident happened as the helicopter was returning to the MoD’s St Athan base near Cardiff, where it is stationed.The chopper was at 500ft and waiting to land when the crew saw the UFO speeding towards them from below. A source said: “It closed in at great speed, aiming straight at the helicopter. “The chopper had to swerve sharply to avoid being hit. The guys said if they’d stayed where they were, they’d be dead – it would’ve been a direct hit. “They are convinced it was a UFO. It sounds far-fetched, but they know what they saw” (extract from article). The incident took place on the 7th june 2008. “DID anyone else see 17 to 18 mysterious bright lights in the night sky on Saturday night, a resident from Hawley Street, Colne, would like to know” (extract from article). “The sighting reportedly took place at 12.40am on 8 June. South Wales Police denied there was a pursuit and indicated that the helicopter crew was never in any danger” (extract from article). itv.com “Ufo over cardiff” (video)….. some is cheesy, ie music, but does make some valid points.. that the helicopter did not chase the UFO, for starters? unlike some media would have us believe. north devon gazette “UFO police chase“. Mail online “Invasion of the bobby snatchers: police helicopter has close encounter with a UFO” (and i thought it could not get any worse). “UFO enthusiasts got a boost overnight when Welsh police confirmed that one of their helicopter crews had spotted an “unusual aircraft” flying over Cardiff earlier this month. An investigation into the sighting had been launched, they said” (extract from article). There are many repeat articles (ie the same info) about the Cardiff UFO incident, so i am trying to keep this down to a minimum. “”Maybe it was a some kind of top secret military surveillance aircraft from this or some other country, who knows?” he added. However the professor didn’t rule out the chances of life existing elsewhere in the universe” (extract from article). The Sun “UFO spotted over Bristol” with video. BBC News “UFO man in liverpool lights claim” (video). BBC News “Hotel behind UFO fleet mystery” (about Shropshire UFO incident). “WORCESTERSHIRE has been described as the perfect place to see UFOs, after a dog walker spotted mysterious objects flying over Bromsgrove. Bonnie Lewis filmed seven shapes – which made no sound and flashed different colours – in the sky at 10pm on Friday. The 29-year-old from Tamworth initially thought that they were satellites, but a UFO expert believes they could well be from another world” (extract from article). “A SHAKEN soldier told last night how he saw THIRTEEN UFOs spinning in the skies above his military barracks. Corporal Mark Proctor was among three squaddies who spotted the objects while out on night patrol. He filmed them on his mobile phone and reported the close encounter to Army top brass. Ministry of Defence experts were studying his report and video yesterday — after ordering Mark and his pals NOT to say anything else about the incident. The sighting, at Tern Hill barracks near Market Drayton, Shrops, came two hours before helicopter police officers reported an encounter with a huge craft 80 miles away near Cardiff. And three hours before a couple claimed they were followed by a strange light in the sky along the A5 near Shrewsbury. Yesterday further mind-boggling evidence emerged as dog walker Bonnie Lewis, 29, told how she filmed seven UFOs at Bromsgrove, Worcs, last Friday ” (extract from article). “A local woman, who has asked not to be named, spotted several mysterious orange balls floating above the horizon on Monday night”…[. ]..”She called her husband and the pair watched in amazement as a number of orange, flaming balls appeared to hover in the night sky over the sea. They then began fading and disappeared. Shortly after the couple saw a plane flying away from the exact area the objects had been in and they believe it could have been sent to investigate. The paranormal buff said it could well have been chinese lanterns, which he says have seen an increase in reported false UFO sightings in the UK. He also suggested the flaming orange appearance of the objects might point toward a flare being released by local fisherman” (extracts from article). ” Britain’s Ministry of Defense has received numerous reports of a squadron of rotating, cubelike UFOs in June, including one from a soldier who used his mobile phone to record video footage of the suspected space visitors. The UFO sightings earlier this month included one made by a police helicopter crew in Wales, prompting at least the Sun tabloid to announce Wednesday that an “Alien Army” was gathering above the seemingly tranquil British countryside”. It later went on to say “Some UFO experts are not convinced there is anything unusual going on, especially in light of a new craze that has spread to England — the practice of releasing lit Chinese lanterns into the night sky to celebrate weddings and other special events. It turns out that two newlyweds who had purchased 100 lanterns to celebrate their wedding had released them into the sky shortly before the purported UFO sighting in Wales, offering a logical explanation for the lights seen in the sky” (extracts from article). mmm… definately some good points to ponder on there… of course, it is not only chinese lanterns that are in the night sky though. A similar article can be seen here : by world news Australia. “COLLEAGUES and I at UFO Data magazine are launching a full investigation into the alleged sighting of a UFO by the crew of a police helicopter over Cardiff at 12.40am on June 8″….[. ]……”We would simply like to ask if any of your readers have any information concerning the alleged UFO sighting made by the police helicopter crew who were part of the South and East Wales Air Support Unit which is shared between the South Wales Police and Gwent Police”. Later on it mentions “We would also like to ask if any of your readers observed anything unusual themselves overnight on June 7 and 8”. Also “Any information can be reported to us in confidence at UFO DATA Magazine, PO Box 280, Leeds, West Yorkshire LS26 1AN. Telephone 077 9257 2356. E-mail: philip@mantle8353.fsworld.co.uk ” (extracts from article)…. They have already sent a Freedom of Information request to the MOD, CAA and Gwent Police. “The pub boss was mesmerised by lights he saw flickering in the sky over Preston city centre” (extract from article). “Dozens of locals dialled 999 after spotting strange lights out at sea. But they were brought down to Earth yesterday when coastguards revealed the source was 50 giant sky lanterns. The 3ft tall man-made lights, with burning candles inside, were released into the night sky by party-goers at a beach rave in Hastings, Sussex, at 10pm on Wednesday. Minutes later the emergency services started receiving panicky calls” (extract from article). “BASINGSTOKE may have become the latest place to embrace the Chinese lantern craze sweeping the UK” (extract from article). Bedford today “VIDEO: Resident captures film of UFO” (video= 1 min 6 secs; unfortunately the viewer is small). “The group Scope-Paranormal.com has been analysing footage which was captured by an eagle-eyed resident at 9.45pm on Saturday, June 7. It shows seven red lights moving in formation for around two-and-a-half minutes” (extract from article). “Pete Picton, editor of The Sun Online, says that when US website The Drudge Report picked up its UFO front page story on Wednesday, its site saw a 169 per cent rise in traffic. The Telegraph also knows the game. “I think it is a reality that the Mail and others, including ourselves included, get a lot of traffic from Drudge, Digg and Fark,” says Ed Roussel, the Telegraph’s digital editor”…..[. ]….”The Telegraph, too, is not ashamed of using celebrity content or quirkies, another favourite of the big blogs, to drive traffic” (extracts from article). This shows another force, that is sometimes driving these stories upon us (ie in silly season, when news stories are slightly harder to come by, a sensational headline gains quick popularity)….. this is an important point to keep in mind….alot of the time the papers do not want the facts, they see it as fun, to place all those cliches on articles/posts. 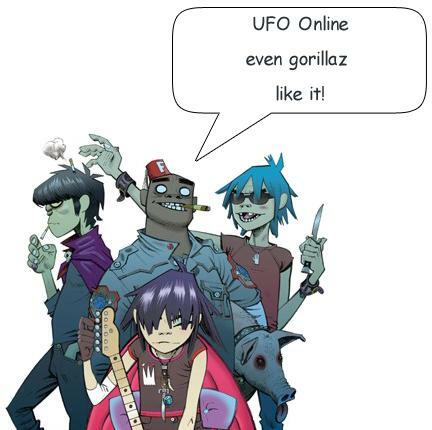 The Independant “UFO Alert! Aliens everywhere” this however suggests that “If you still live with your parents, wear a zip-up cardigan over your collar and tie, have enamel badges in your lapel and don’t get out much because you’re too busy curating your collection of Star Trek memorabilia, it has been quite a week” (extract from article). 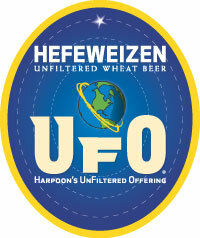 Well no to all the above, thanks (that does not apply to me and probably quite a few ufologists/researchers)! they do have some valid points, but it is the papers that have made this into more than it possibly is….. or made it tacky, or both. I would be quite happy to just have the raw facts….. but hell that does not go with the media agenda (ok rant over). For the rest of us mortal souls, it starts to get harder, to try and find out, which are the ones worth looking into…. the reports are numerous, and increasing by the day. Will soon catch up to date with sightings this month…. Liverpool man claims he saw several UFO’s around the city and video’d them on his phone.. What do you think this is? The sefton and west lancs (uk) has an interesting article entitled “Throwing light on a mystery” (posted 16th August). It mentions that the recent sightings around Liverpool could be Ball lighting, however it goes on to mention…..
“If the lights being seen across this region are ball lightning, the weather may be to blame, as we have had alternating days of rainy and sunny weather recently, but the reports of the Liverpool Lights seem to defy such a rational explanation”. “The convention begins Friday, Aug. 17 and is organized by San Clemente’s City Hall and Tourism Chamber. It also enjoys backing from the Chilean government’s National Tourism Service (SERNATUR)”. (extract from article….Santiago Times). It also goes on to mention, that of all the ufo sightings in the country, only about 5% are picked up by the press. The Canadian (blog) has an article “SPP North American summit of leaders shrouded in UFO-style secrecy” (posted 16th August 2007). Not sure about this story, but worth a read, as it seems strange? 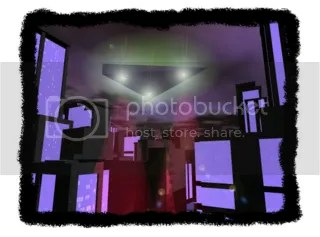 In UFOS North West (ufosnw.com) “Two witness Large Flying Triangle with red lights on corners” (posted 13th August, 2007). It happened in San Rafael, in California on the 11th August, was a brief sighting, and the report also has audio and 2 drawings of the triangular ufo incident. In the Scotsman.com News it is claimed that “Experts do the ‘impossible’ by breaking speed of light” (posted 16th August, 2007). On a similar theme, another article can be seen here . “…. two German physicists now claim to have forced light to overcome its own speed limit using a phenomenon known as quantum tunnelling”. Of course, they used photons and not humans to do it! A link to Quantum tunneling can be seen here . Lastly, from the Yorkshire Evening Post “Mobiles capture ufos flying in the sky” (posted 15th August 2007). There is also a video link to this (watch out for the excited shouting); i’ll leave you to decide what this is?? “Earlier this year in January, a Mr Fraser of Childwall was taking a nightly stroll down Menlove Avenue when he noticed several lights in the sky….”. 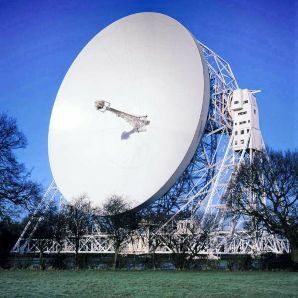 And “The huge disc-shaped UFO moved slowly from the direction of Halewood across the sky, and Mr Fraser and a female passer-by watched it head towards Netherley”. There are other witnesses who saw this gigantic ufo…. for the full article (quotes here taken from the article) please see here . I hope its not a play on the channel island sighting earlier in the year…..have to see how this one pans out, and see if anymore sightings, information can be gathered…so will update if/when any more comes my way. Also another article of interest can be seen here (by Maghull and Aintree Star occurred2002). As was mentioned in a later post on this blog, but might have been missed here.. i have added the article from the local paper, where it belongs (in this article).